The 2008 Liechtenstein tax affair is a series of tax investigations in numerous countries whose governments suspect that some of their citizens may have evaded tax obligations by using banks and trusts in Liechtenstein; the affair broke open with the biggest complex of investigations ever initiated for tax evasion in the Federal Republic of Germany. It is seen also as an attempt to put pressure on Liechtenstein, one of the remaining uncooperative tax havens, as identified by the Financial Action Task Force (FATF) on Money Laundering of the Paris-based Organisation for Economic Co-operation and Development, along with Andorra and Monaco, in 2007. Millions of euros belonging to hundreds of citizens living in Germany were channeled into the LGT Bank and other banks in Liechtenstein, taking advantage of Liechtenstein-based trusts to evade paying taxes in Germany. According to the prosecutor's office these trusts "have been created apparently only to evade paying taxes." According to the law in Liechtenstein, such trusts allow the separation of monetary assets from their owners and are kept anonymously. In contrast to trusts of most other countries, Liechtenstein trusts can be revoked at any time and the assets will be returned to the owner. Furthermore, such trusts as well as their maintaining shell entities are only charged 0.1% (minimum 1,000 Swiss francs) annually. Liechtenstein thus is known to be a tax haven. According to the lead prosecuting office responsible for economic crime in Bochum, which is supported by prosecuting offices in other towns as well as the criminal police, currently about 600 to 700 individuals are suspected in the investigations. In addition, search warrants have been issued. An official confirmation about the total number of suspects and amount of money involved has not yet been issued. According to the prosecutors, current investigations provide a "very high level of evidence." The affair became known on February 14, 2008, when a raid was conducted against Klaus Zumwinkel, the chief executive of Deutsche Post AG, under the suspicion that he evaded about 1 million € ($1.46 million) in taxes. Pressured by the government, Zumwinkel resigned from his position. Similarly a number of other individuals have been under investigation for months, and the appearance that the well-to-do have ways and means to evade the German tax laws has caused complaints about inequality. According to a report by the Süddeutsche Zeitung, Heinrich Kieber, a bank computer technician, sold a CD with incriminating bank information to the Bundesnachrichtendienst (BND, English: Federal Intelligence Service), which handed the material over to the tax investigation office in Wuppertal. Kieber was paid €4.2 million by the Federal Ministry of Finance for the data on which the investigation is based. Facing death threats, the informant is currently in hiding and has asked for police protection. Kieber is wanted by Interpol. The Wall Street Journal indicated on February 19, 2008, the name of the informant who apparently lives now in Australia and had sold the data to tax ministries of a number of countries, including the United States. A number of raids were conducted in Hamburg, Munich, Frankfurt and other cities. Several banks were searched including Bankhaus Metzler, the Hauck & Aufhäuser bank, Dresdner Bank, UBS in Munich and the Berenberg Bank in Hamburg. In the meantime revenue offices also noted a higher number of voluntary self-incriminations - this will avoid or reduce punitive damages - for possible tax evasions by people with financial assets in Liechtenstein. While the BND received the data in 2006, the LGT Group indicated that in 2002 secret information had been stolen but the informant had been caught and tried in 2003, and all material had been returned. The informant also had sold data to the government of the United States. After the affair broke open, Senator Carl Levin, chairman of a senate investigations committee, indicated his intention to probe to what degree American citizens have used the LGT bank to evade taxes. In July 2008 the U.S. Subcommittee determined that the offshore tax haven saved $100 billion per year for the U.S. taxpayer. Specifically mentioned were Switzerland's UBS AG and Liechtenstein's LGT Group. The report indicates that the LGT Group contributed to a "culture of secrecy and deception". According to the report UBS holds 1,000 declared accounts versus 19,000 that are not declared to the IRS. The report recommended a number of steps including tighter regulations for financial institutions. According to the LGT Bank some 20 Finns had evaded tax in Finland via accounts containing €50-60 million in deposited funds. This was the largest known tax avoidance case in Finland. Most names are secret. According to Helsingin Sanomat in Sept/Oct 2013 Lichtenstein tax havens accounts include funds of Casimir Ehrnrooth (see UPM, YIT, Jaakko Pöyry and Guggenheim Helsinki Plan) Bertel Paulig (coffee, spices) and a construction company owners in Turku. Seventeen Finns paid additional taxes totalling €10 million. The taxpayers initiated actions in the Administrative Court. The decisions are not public. According to Finnish law the cost of hidden taxes can be up to 30%. In two cases shown for the reporters the administrative Court acted ca 1% interest rate payment. In one case hidden funds were in total €483.000 and acted additional tax was €4.350. In addition to this, tax payers must pay the avoided taxes and an interest of the tax funds not paid in time. According to the Supreme Administrative Court of Finland no other legal procedures are possible, than collecting the hidden tax and its 1% interest rate. On February 24, 2008, it became apparent that secret bank information had also been sold to the British tax authorities and that about 100 individuals in the UK are at risk for investigations for tax evasion. The informant also provided the governments of Australia, Canada and France with data. On February 26 it became known that the German government was willing to share relevant data of the about 4,500 accounts with other governments; two third of these accounts belong to accounts of non-German individuals or entities. Fiscal authorities in Ireland, Belgium, Finland, Greece, Italy, the Netherlands, Norway and Sweden indicated interest, and while the Danish government initially declined - it considered the material to have been stolen - it appears to have reversed its position. The governments of the Czech Republic and Spain have also announced investigations derived from Germany's list. India, however, has thus far not considered Germany's offer despite reports that many wealthy Indian citizens might have accounts in the bank. 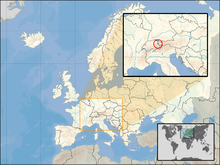 The principality of Liechtenstein is directly affected by the affair as the LGT Bank is owned by the reigning princely family of Liechtenstein. The affair overshadowed the previously planned visit of Otmar Hasler, the Prime Minister of Liechtenstein, to Berlin on February 19, 2008, to meet with the Minister of Finance, Peer Steinbrück, and the Chancellor, Angela Merkel. Merkel asked for help in the investigation and cooperation in prevention of tax evasion, pointing out that Liechtenstein provided the US Internal Revenue Service with some data but not the German Ministry of Finances. The newspaper Die Welt described the event as a "government crisis". The Regent of Liechtenstein, Alois, Hereditary Prince of Liechtenstein, called the investigations an "attack" on Liechtenstein by the Federal Republic and is considering legal remedies. The German government has been criticized for working with secret bank data that was stolen by the informant. The head prosecutor of Liechtenstein Robert Wallner initiated an indictment "against unknown perpetrators for the violation of company secrets for a foreign country". Also, two lawyers in Berlin initiated lawsuits against the BND and the Federal government claiming among others "infidelity toward the taxpayer" and "spying of data". The German government, on the other hand, is considering a coordinated international action: according to internal sources of the Ministry of Finances Liechtenstein supposedly lives to "a good part from the business of evading taxes". The government may consider a number of possible actions: Liechtenstein is about to join the Schengen Agreement which would eliminate its border controls towards Austria, and Germany's consent is required; Germany could impose fees on transfers of currency, place taxes on business activities of its citizens in Liechtenstein, and require them to prove that their activities there are legitimate. Furthermore, it counts on the support of other governments who also feel the sting of tax evasion. Questions have also been raised within Germany as to the internal legality of the matter. Concerns have been voiced that the actions taken by BND were outside the agency's national security (and constitutional) remit, with attention also focusing on the wider ethical debate as to whether BND was justified in paying a €4m bribe to a bank official in a foreign country (with financing and approval from both the German chancellery and finance ministry). In March 2009 Germany announced that it will not grant judicial assistance to Liechtenstein in the prosecution of the assumed perpetrator, claiming Ordre public overrides its duty to do so under the European Mutual Legal Assistance Agreement. Liechtenstein entered negotiations with a number of countries to discuss tax avoidance issues. It reached an agreement with the United Kingdom in 2009 that will allow the about 5,000 British customers of Liechtenstein's banks that hold for them about ₤2-3 billion in secret accounts to come clear with British tax authorities under terms of a significantly reduced penalty. The agreement would open up Liechtenstein's banks to greater transparency, but remains controversial in Liechtenstein; some banks fear that clients will just move their money elsewhere. ^ "Skandal gigantischen Ausmaßes". Süddeutsche Zeitung (in German). 2008-02-15. Archived from the original on November 3, 2008. Retrieved 2008-02-21. ^ a b c Esterl, Mike; Simpson, Glenn R.; Crawford, David (2008-02-19). "Stolen Data Spur Tax Probes". The Wall Street Journal. Google Groups. Retrieved 2008-02-20. ^ Keuchel, Jan; Andresen, Tino (2008-02-16). "Nächste Woche knallt es wieder". Handelsblatt (in German). Archived from the original on 2008-02-19. Retrieved 2008-02-21. ^ a b "In Deutschland bahnt sich riesiger Steuerskandal an". Agence France Presse (in German). 2008-02-15. Archived from the original on 2008-03-09. Retrieved 2008-02-21. ^ "German Banks Suspected of Helping Clients Evade Taxes". Der Spiegel. 2008-02-21. Retrieved 2008-02-21. ^ a b c Pfanner, Eric; Landler, Mark (2008-02-19). "Liechtenstein defends its banks in German tax-evasion inquiry". International Herald Tribune. Retrieved 2008-02-20. ^ a b c Dougherty, Carter; Landler, Mark (2008-02-18). "Tax Scandal in Germany Fans Complaints of Inequity". The New York Times. Retrieved 2008-02-20. ^ a b c Moore, Matt (2008-02-18). "Germany expands probe of Liechtenstein tax evasion". USA Today. Associated Press. Retrieved 2008-02-20. ^ "Liechtenstein tax scandal hits banks". Reuters. The Australian. 2008-02-19. Archived from the original on 11 August 2011. Retrieved 2008-02-20. ^ Eppelsheim, Philip (2008-02-15). "Deutschland vor historischem Steuerskandal". Frankfurter Allgemeine Zeitung (in German). Retrieved 2008-02-24. ^ Kuhn, Friedrich (2008-02-17). "Informant im Fadenkreuz - Tippgeber von Liechtenstein muss völlig neue Identität erhalten - Fahnder rätseln über Zumwinkels Motiv". Deutscher Depeschendienst [de] (in German). Archived from the original on 2008-03-05. Retrieved 2012-03-22. ^ Quinn, James (2008-08-19). "Interpol seeks Liechtenstein tax mole". The Daily Telegraph. London. Retrieved 2010-04-22. ^ "Fahnder durchsuchen erneut Banken in München und Hamburg". Spiegel Online (in German). 2008-02-19. Retrieved 2008-02-24. ^ Tartler, Jens; Ehrlich, Peter; Lockhart, Ina; Lambrecht, Matthias (2008-02-19). "Razzia bei deutschen Privatbanken". Financial Times Deutschland (in German). Archived from the original on 2008-02-23. Retrieved 2008-02-24. ^ AFP (2008-02-21). "Sen Levin Concerned Liechtenstein Bank Drawing Tax Evaders". Morningstar. Retrieved 2008-02-23. ^ "USB, Liechtenstein Aided US Tax Cheats: Senate". Associated Press. 2008-07-17. ^ Watts, Robert; Matthew Campbell; Nicola Smith (2008-02-24). "Revenue men prise open princely tax haven, Liechtenstein". London: The Sunday Times (Timesonline). Retrieved 2008-02-24. ^ a b "Deutschland verschenkt Steuersünder-Daten an Regierungen in aller Welt". Der Spiegel. 2008-02-26. Retrieved 2008-02-26. ^ a b "Monaco vows to help German tax probe". The Financial Times (ft.com). 2008-02-24. Retrieved 2008-03-05. ^ "Affäre Liechtenstein. Steuerskandal erfasst Europa und die USA". Der Spiegel. 2008-02-26. Retrieved 2008-02-26. ^ Mohan, Vishwa (2008-05-21). "Germany offers black money data, India dithers". The Times of India. Retrieved 2008-05-21. ^ "Liechtensteins Ruf ist ruiniert". Die Welt Online (in German). 2008-02-15. Retrieved 2008-02-24. ^ "Regierungschef Otmar Hasler bei Bundeskanzlerin Angela Merkel" (Press release) (in German). 2008-02-15. Archived from the original on 2008-03-05. ^ Pfanner, Eric; Landler, Mark (2008-02-20). "Tax Inquiry? Principality Is Offended". The New York Times. ^ "Tausende Verdächtige in Steueraffäre". Die Welt Online (in German). 2008-02-15. Retrieved 2008-02-24. ^ "Strafanzeige gegen BND und Bundesregierung". Netzeitung (in German). 2008-02-19. Retrieved 2008-02-24. ^ "Berlin will Geschäfte mit Liechtenstein radikal einschränken". Spiegel Online (in German). 2008-02-19. Retrieved 2008-02-24. ^ Dougherty, Carter; Landler, Mark (2008-02-21). "Germany Prods Liechtenstein to Fight Fraud". The New York Times. Retrieved 2008-02-22. ^ "Not so fine in Liechtenstein". The Economist. 2008-02-22. Retrieved 2008-06-03. ^ "Fall Heinrich Kieber: Deutschland lehnt Rechtshilfegesuch ab". Liechtensteiner Vaterland. 2009-03-23. Archived from the original on 2009-05-28. Retrieved 2009-04-16. ^ a b Simonian H (August 12, 2009). "Liechtenstein in talks with Germany on transparency". Financial Times. "Tax Me If You Can", Australian Broadcast Commission TV, Four Corners page including streaming video, reporter Liz Jackson, first broadcast on 6 October 2008.